Rug Dealer since 1973. 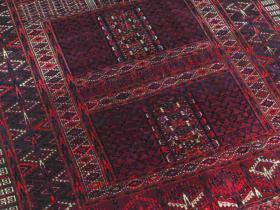 Areas of specialization include: Prayer Rugs, Turkomans, Turkish Rugs, Calligraphy Rugs. active since September, 18, 2007. 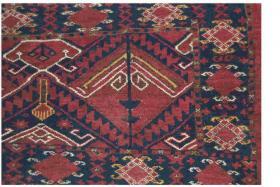 Anatolian Makri Prayer Rug late 19th c Great Colors 44 inches by 73 inches, evenly short pile, unusual design. 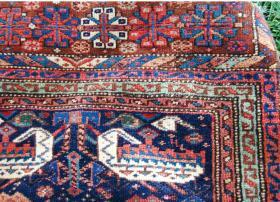 Lovely Afshar Mother & Daughter design rug 51 inches by 86 inches. Ivory field with soft rich colors. 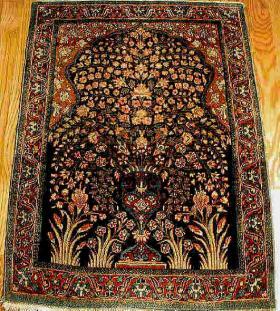 My email has been changed to 578jacobsen@gmail.com 1880 Chodor Main Carpet beautiful natural colors size 7'2" x 10'8"
Beautiful 19th Century Kuba Seishour appx 3 x 5 Great Colors Nice Condition. 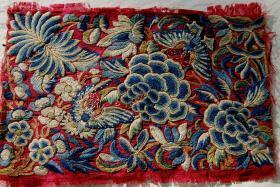 Chinese embroidery w/ metallic thread. (2) Two 11 1/2" by 7 1/2" panels. Mid 19th Century. 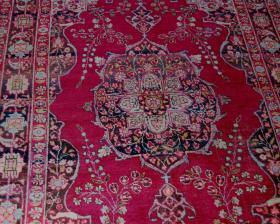 Turn of the Century Tabriz Rug 6'3'' x 4'5'' Decorative with Cochineal color field. 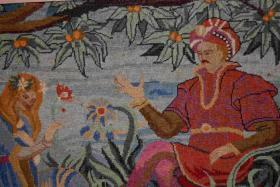 Early Needlepoint appx 2' x 3' "Paradise Garden?" the faces are Petit Point. 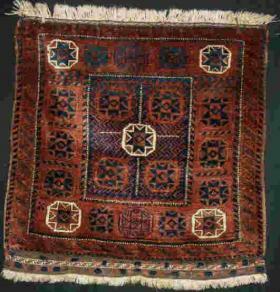 Kurdish Bag Face Ca 1900 2 feet by 2 feet.